Imagine someone told you that they had a way to maybe wipe out malaria, create safer herbicides and pesticides and even eliminate those carp destroying the Great Lakes. You’d be interested right? Now imagine that they told you they plan to do this by releasing selfish genes into mosquito, pest and carp populations out in the wild. These selfish genes could then spread faster than Mendelian genetics would normally allow and take over the genetics of these animals over the span of many generations. Eventually, this would cause the mosquito and carp populations to crash and change the DNA of pests like the western corn rootworms so they are sensitive to safer pesticides like Bt toxin again. Still interested? I wasn’t either at first. This seems both wildly arrogant and incredibly dangerous. We have such an incomplete understanding of DNA and ecosystems that it seems we might inadvertently do something terrible and possibly irreversible. And yet, after reading a new article in the journal eLIfe and its companion article in Science, I am reconsidering my first gut reaction against these gene drives. The Science article deals more with the public policy of doing something as radical as releasing these sorts of genes into the wild. The authors talk about regulatory issues that need to be dealt with as well as stating that the entire enterprise will be completely transparent to the public. The scientists involved want to know the public’s concerns so they can address them and only want to go forward with buy in from the major stake holders once all the right regulations are in place. Looks like they’ve learned something about buy in from the continuing debacle that is the (mis)handling of genetically modified organisms. As is typically the case these days, technology is ahead of regulatory policy with these gene drives. It is definitely a good thing for people to stop and take a breath before plunging into modifications of the genomes of beasts out in the wild. But we don’t necessarily want to be too fearful or cautious. Around 220 million people each year suffer from malaria with over 600,000 of them dying each year. And thanks to global warming, Africa’s problem is about to become everyone’s problem. Each year we wait means hundreds of millions of people suffering and hundreds of thousands dying. Of course malaria is just one of the problems we might address with this technology. It can be a little overwhelming to think about all of the problems that can be addressed with gene drives and all of the potential good they could do. Thinking about the dangers can be a little overwhelming as well. As soon as people made the connection between mosquitoes and malaria, governments started doing everything they could to keep mosquitoes away from people. They’ve drained swamps, sprayed pesticides, given away bed nets and even soaked newspapers in mosquito repellant. In some ways, genetic manipulation is just another way to keep mosquito populations down to decrease people’s risk of getting malaria. A “simple” way to suppress mosquito populations using genetics was proposed by Aaron Burt back in 2003. The idea is to basically create a male mosquito that mostly fathers only male mosquitoes. As fewer and fewer females are born in each generation, the mosquito population will crash. And depending on how successful the strategy is, it might even wipe the mosquitoes out completely. The basic idea behind male only births is to create a system that makes lots of cuts to the X chromosome when sperm is being made. 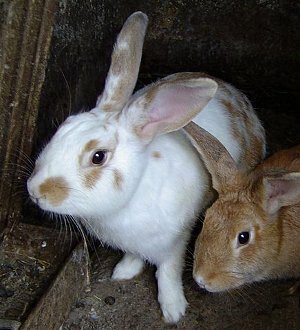 Since this will result in sperm that only carry a Y chromosome, all the offspring will be male. In other words, all of the baby flies will get an X from mom and a Y from dad and so be male. The introduced gene that causes the loss of the X chromosome in sperm cells will quickly become very common in the population as the females die out. The gene will drive through the population faster than a typical gene version which will be inherited by offspring only 50% of the time (hence the term gene drive). All the offspring end up with the gene. There is also no selection against these mosquitoes. The engineered male should be able to compete with the natural males as it is only their sperm that is affected. These engineered males should cause a devastating collapse in the mosquito population. Creating a mosquito that fathers only males is simple in theory but until recently, very tricky to pull off. 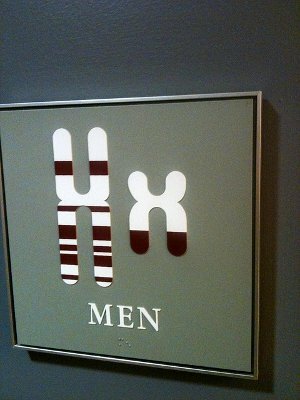 What you need is a way to specifically make cuts in only the X chromosome without cutting up the other chromosomes. 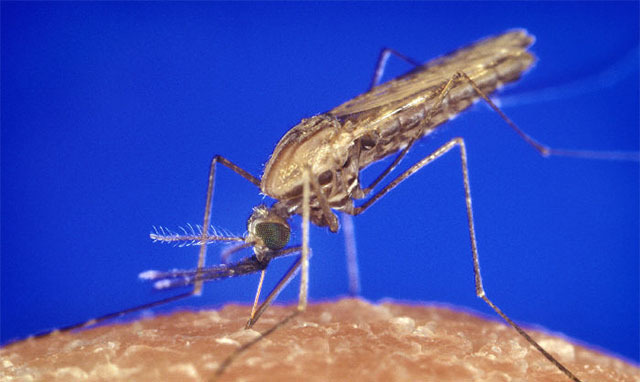 And you also need for the introduced gene to remain stable in the mosquito’s genome, generation after generation. The newish technique CRISPR looks like it might be just what the malaria sufferer ordered. As discussed here, CRISPR is a powerful tool that allows for precise changes in a genome. But this isn’t necessarily what makes it such an important tool for these gene drives. What makes it so workable is that it is not dependent on repeated bits of DNA as are the other specific DNA-altering techniques like zinc fingers or TALENs. For gene drives to work, the gene has to be stable in the mosquito population for many generations. Both zinc fingers and TALENs require lots of repeated DNA which is just about the most unstable DNA there is. Repeated DNA is often removed when sperm cells are made meaning that genes that rely on zinc fingers or TALENs are lost sooner rather than later. This isn’t CRISPR’s only advantage either. It is also so easy to “program” CRISPR that it is trivial to make it so multiple sites are cut in the same genome. This decreases the risk that some lucky engineered mosquito will stumble on a mutation that makes it immune to its own X-slaying gene. The odds of getting multiple DNA mutations in the right spot at the same time are astronomically low. In fact, this is the strategy behind the enormously successful cocktail therapy for HIV infection and AIDS. This easy programmability also means that scientists can undo the changes if need be. For example, they might release mosquitoes with a CRISPR that targets the first CRISPR. Now the original changes will be removed. Of course, there is more to gene drives than just wiping out mosquitoes! 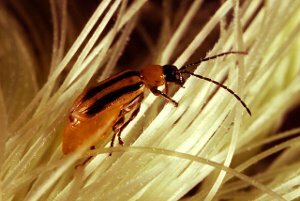 For example, similar strategies could also be used to make resistant pests sensitive to certain pesticides again or even to make pests that are sensitive to relatively harmless chemicals. This would require using gene drives to make specific changes in the genes that led to resistance but again, it seems most anything is possible with CRISPR. Assuming CRISPR lives up to the hype (and so far it has), this is something we are going to be able to do in the very near future. It is important to start thinking about whether we should do it at all. And if we decide to do it, what are the criteria to decide which problems to tackle. If any problem should be addressed with gene drives it is malaria. The benefits of dealing with malaria probably outweigh any of the risks, especially if we can stop and even reverse the whole thing if there are unexpected consequences. Going after other targets may not be as easy a decision. Also it is important to keep in mind that reversing the procedure may not undo the damage that is done. If wiping out the mosquitoes causes the ecosystem around it to crash, then reintroducing the mosquito may not rescue the ecosystem. Still we need to consider whether the benefits outweigh the risks for each case. It may be that significant effects on an ecosystem may be worth 600,000 human lives each year. Or it may be that the effects cause many fewer human deaths than malaria. Not an easy decision to make.